Welcome to Executive Park Eye Care! Our team of eye doctors and eye care staff are here to care for all of your vision needs. Serving Colorado Springs, we handle everything from adult and children's eye exams and hard-to-fit contact lenses, to eye emergencies, treatment of eye diseases and co-management of eye surgery such as LASIK. By staying current with the latest developments in eye care, prescription lenses and advances in contact lens technology our vision center can provide you with the best vision, advice and fit today—and in the years to come. We take pride in building lasting relationships with our patients, which is why we take the time to get to know you, your vision requirements and your lifestyle needs. Contact our eye care clinic today to find out how we can help at Executive Park Eye Care. We do our best to offer supreme customer service. Please share your positive experience with our optometrists and leave us a review today! Our eye care experts at Executive Park Eye Care are proud the serve Gleneagle and Briargate, CO by offering full range of eye care services for your entire family. We help our Gleneagle and Briargate patients cover the costs of their eye exams and eye care services, by accepting a wide range of medical and vision insurance plans. We would like to introduce our eye care specialists serving Briargate & Gleneagle, CO.
Click here to read the latest articles about eye care and eyewear. Join us for our 50 years anniversary of supreme eye care services at Colorado Springs, CO! We strive to provide best eye care with the most progressive technology and personal attention for today's visual needs. 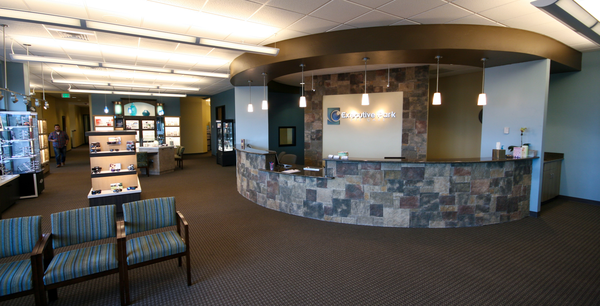 Take a tour of our eye care center in Colorado Springs.